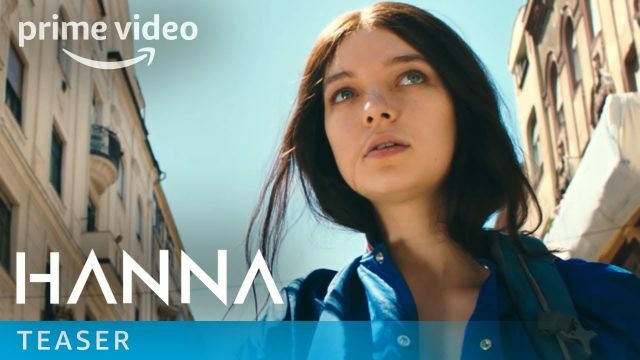 Amazon Prime Video has released the second teaser for their upcoming series Hanna, an adaptation of the hit 2011 action thriller of the same name. The video highlights the young assassin’s combat skills while taking down an assailant. Check out the video below! Mireille Enos (The Catch) plays Marissa, an efficient and ruthless agent, having risen up the ranks of the CIA. However, beneath her cool exterior is a deeply buried secret that continues to haunt her. The reappearance of the titular assassin and her father Erik threaten to expose the past she has worked to repress. Joel Kinnaman (Altered Carbon) plays Erik, a hardened intuitive and uncompromising soldier and mercenary who, for the past 15 years, has raised his daughter in the remote forest of northern Poland. Isolated from the world he once knew, he has trained his daughter in every method of survival, with his only goal, to keep her safe. But, his teenage daughter begins to seek freedom from the restricted haven he has created. Esme Creed-Miles (Dark River) takes on her first leading role as the titular character, who has lived all her life in a forest in Northern Poland until becoming the heart of an unraveling conspiracy. Hanna feels she must leave the confinement of the forest to experience life, but once in the world, Hanna is hunted by Marissa and others connected to Hanna’s hidden origins and exceptional abilities. Enos and Kinnaman previously starred together in the AMC series The Killing, the upcoming Amazon adaptation marking a reunion for the actors.